The boolean function process the input of two mesh objects into a combined, divided or insertion of the meshes. Input1: Name of first .obj component file uploaded to storage. Input2: Name of second .obj component file uploaded to storage. Output: Result file name for the boolean operation in .obj format. Operation: Choose one from union,difference and intersection. Union - Combines the given meshes. Difference - Splits the given meshes. Intersection - Intersection between the given meshes. Boolean Input A and B. 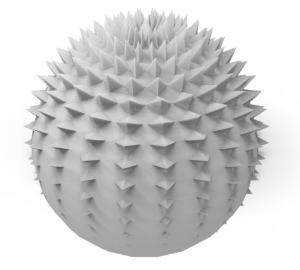 Sphere and textured sphere. Inputs A and B positioned on top of each other.